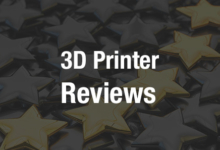 California 3D printing company Carbon, founded in 2013, suddenly hit the scene in 2015 with its innovative Continuous Liquid Interface Production (CLIP) technology, which uses the power of light and oxygen to cure a photosensitive resin. Rather than building an object up by layers, super fast CLIP 3D printing cures resin by harnessing light, using oxygen as an inhibiting agent, and is perfect for use in automotive applications, among others. Post compression samples in RPU and EPX. The team used CLIP technology to 3D print lattice structures, made up of regular hexagons, in four different materials: additive epoxy (EPX), rigid polyurethane (RPU) and flexible polyurethane (FPU), and cyanate ester (CE). The parts have truss thickness to length ratio that ranges from 0.05 to 0.20, which corresponds to relative densities from 0.06 to 0.23. The smallest part was 35 x 35 x 22 mm, while the largest was 110 x 104 x 45 mm. 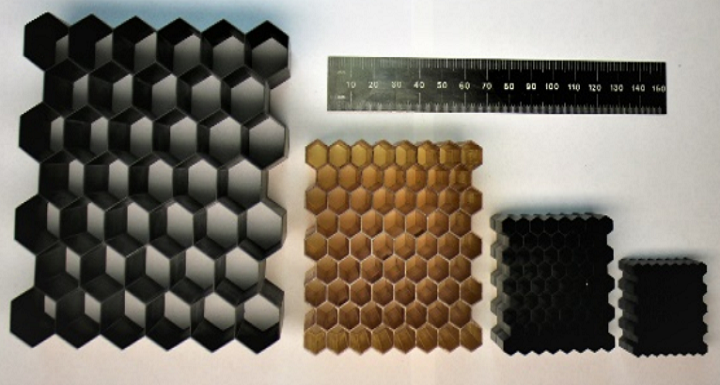 Hexagonal lattices 3D printed using CLIP in four different materials (L-R): EPX, CE, RPU, and FPU at relative densities of 0.06, 0.12, 0.12, and 0.23 respectively. Example test data showing stress vs strain for two parts compressed in the X2 direction. The parts are printed from either EPX or RPU, with t/l = 0.20 and relative density of 0.23. Each of the designs was tested, in uniaxial compression, in both the out-of-plane (X3) and in-plane (X2) directions, while optical recordings were used to observe failure mechanics. Additionally, the researchers also tested some of the designs in the orthogonal in-plane (X1) direction. Both an RPU part and an EPX part, with identical geometries, were tested in the X2 direction. The results of this test show how the parts’ performance and failure are controlled by their distinct bulk material properties and failure strengths. 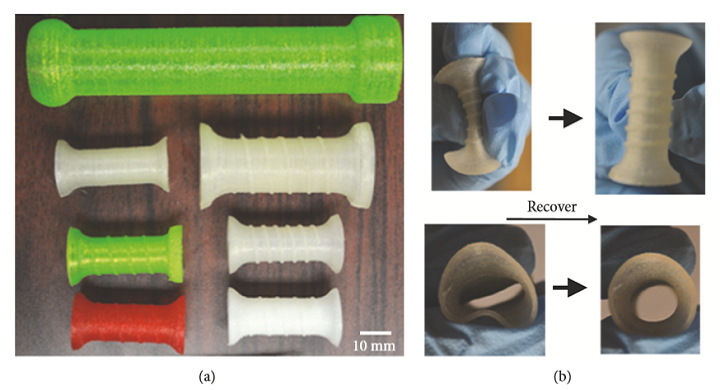 The stress-strain curve for the RPU part illustrates plastic yield before fracture, though both of the 3D printed parts experience brittle fracture. Co-authors of the paper are Davis McGregor, Sameh Tawfick, and William King.